-REAL ESTATE ONLY FOR SALE - No tenant! Easy to Show! 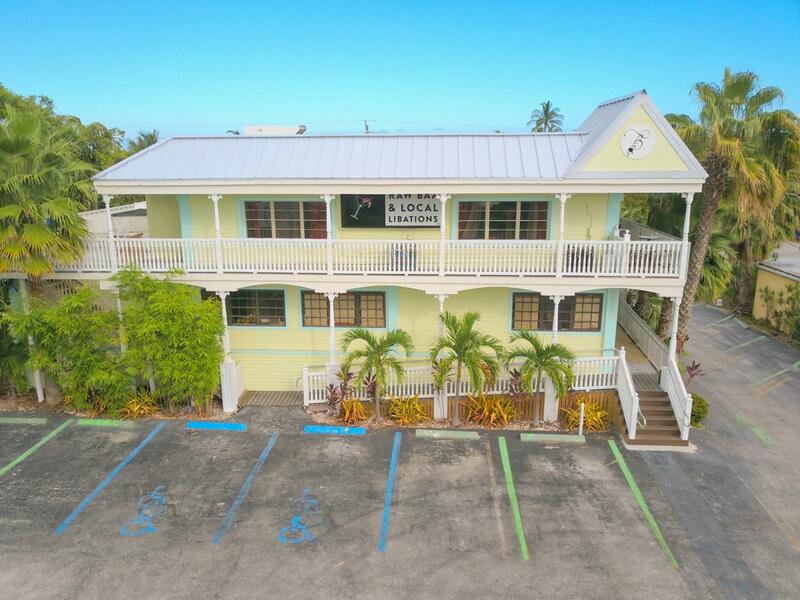 Tastefully updated two-story restaurant located in the Heart of Islamorada. Full bar on each floor, updated kitchen on first floor, renovated dining and banquet space. Excellent Highway US-1 exposure with approximately 8+/- million cars passing annually according to the Florida Department of Transportation, and more coming every year--First and second floors were gutted when updated. All new electrical and plumbing systems throughout. New flooring, wall surfaces, and ceiling finishes redone on the second floor. Existing air conditioning and ventilation also freshly refurbished. All restrooms have new finishes and fixtures.Kitchen had propane gas system updated with LP. Walk-in cool refurbished. Bar had new lines run for both second and third floor bars, as well as a new, behind the bar glass display installed. On the exterior, new exterior lighting was put out as well as new signage and exterior doors. Also, the property was updated with a combination new and refurbished roof and refurbished stairs and ramp. The parking lot was also sealed and restriped. Other: Camera and security system new and updated. Central sewer hookup finished. Furniture, art, decor and kitchen equipment NOT included. Listing courtesy of Patti Stanley of Moorings Realty, Inc.